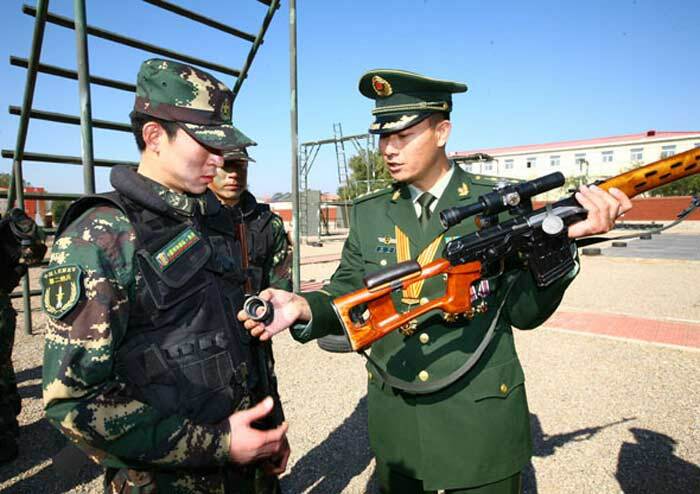 While the U.S. Army is concerned about next-generation Russian precision rifles and tactics, China has also been making significant advances in the field. In the 1980s, the Chinese used practically the same equipment as the Soviet Union. Nowadays, they use fairly different sets of equipment, including some rifles chambered in NATO calibers. The diverging development of Chinese precision rifles from the same base is an interesting parable of small-arms development driven by doctrine. The Soviet Union used the SVD, a gas-operated short stroke 7.62x54R rifle that fed from a 10-round-box magazine and had an effective range of around 800 meters. China made its own clone of the SVD after capturing a sample during the Sino-Vietnamese war called the Type 79, later refined into the Type 85. These were produced alongside copies of the Soviet PSO-1 4x optical sight. 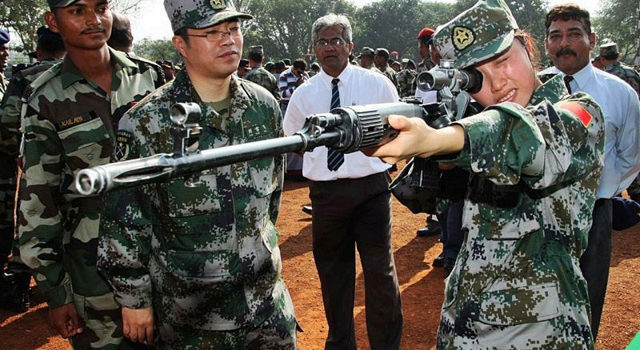 Apparently, China has problems copying the SVD as its gunsmithing industries were not quite mature. The cloned PSO-1 was not able to handle the recoil of the 7.62x54R cartridge in early versions, and issues were found with the metallurgy of the firing pin, which broke easily in the Type 79. According to sources in the CPAF, this was fixed by the Type 85. The primary problem with the Type 79 and Type 85 was the lack of proper ammunition for it. Russia issued special 7.62x54R ammunition along with the SVD, the 7N1 and later 7N14 cartridges. China did not develop a version of this and simply issued machine-gun ammunition with the Type 79 and Type 85. This resulted in the subpar accuracy. Why China didn’t produce a sniper round is uncertain, but perhaps the limited usage of 7.62x54R in the Chinese military, combined with the PLA’s drive for a new intermediate cartridge in the 1980s made developing an additional sniper round an unnecessary burden. The lack of integration of marksman and precision rifles also delayed the need for such a round, Type 79 and Type 85 rifles were not issued widely among regular troops, only finding use with special operations troops, police units and border guards. 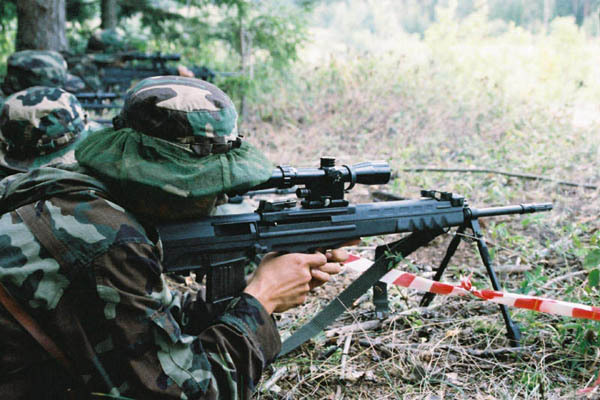 While Russia still continues to use the SVD as the primary “sniper” rifle, China developed a replacement in the QBU-88 in the 1990s, with the rifle completing trials in 1996 and first reaching service with the PLA’s Hong Kong garrison in 1997. The real root of the project was in the development of the 5.8-millimeter cartridge for machine guns. A 5.8-millimeter round was developed that was found to perform better or the same as existing 7.62x54R rounds in Chinese inventory, so a specialized rifle was developed in that caliber for sniping purposes. The QBU-88 or Type 88 is a relatively modern design, utilizing the bullpup layout to gain additional barrel length. Chinese sources state that the penetration and accuracy are higher than the Type 85. Modern techniques were used to manufacture the Type 88, including CNC milling and extensive use of polymer. A new phosphating process was used to apply the black finish to the metal. The design itself has some questionable aspects. The bipod is attached directly to the barrel, which causes point of impact shift when the bipod is used. The safety is also in a hard to reach spot behind the magazine well, requiring the shooter to move his support hand under the mag well to activate and deactivate the safety — with a 180 degree throw. Most Western precision and marksman rifles use a thumb safety or trigger guard safety of some variety, allowing for faster actuation without moving the hand from the firing position. In an upgrade from the fixed 4x of the SVD, the QBU-88 utilizes a 3-9x variable zoom scope with a built in bullet-drop compensator in the reticle. While the Type 88 and Type 85 are the most common rifles in use, there also are a myriad of other rifles for precision shooting and special purposes. For anti-material purposes there are the AMR-2 and the QBU-10, the AMR-2 being a bolt action magazine fed rifle, and the QBU-10 being semi-automatic. Also of note are the CS/LR series of rifles, the real Chinese equivalents to western precision rifles such as the Remington 700 and Steyr SSG69. The CS/LR4 is the direct competitor, being chambered in the same 7.62×51-millimeter NATO cartridge. It was developed from earlier designs, and appears to take many cues from Western rifles, from the front-locking Mauser action to the thumbhole stock. They are not up to the standard or accuracy of Western rifles, with stated accuracy being 2.9 centimeters at 100 meters. It also features a Picatinny rail forward of the scope so users can mount a night-vision device in front of their optic. The CS/LR3 is the same gun, chambered in the standard 5.8-millimeter cartridge used by the military. However, CS/LR rifles have seen more use with special-police units, which need increased precision.